The boys felt frisky today. 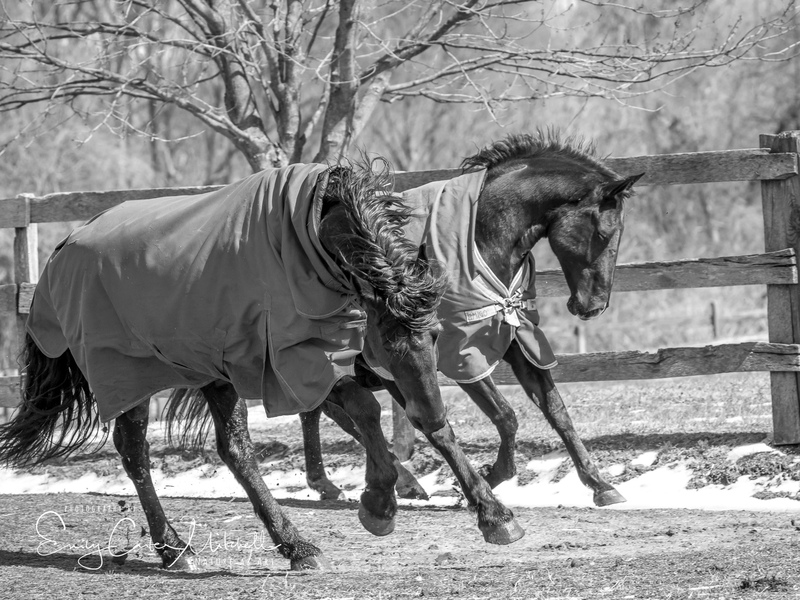 After several days of below freezing temperatures and frozen ground, my friend and I let our horses out so that they could stretch their legs. And stretch them they did. 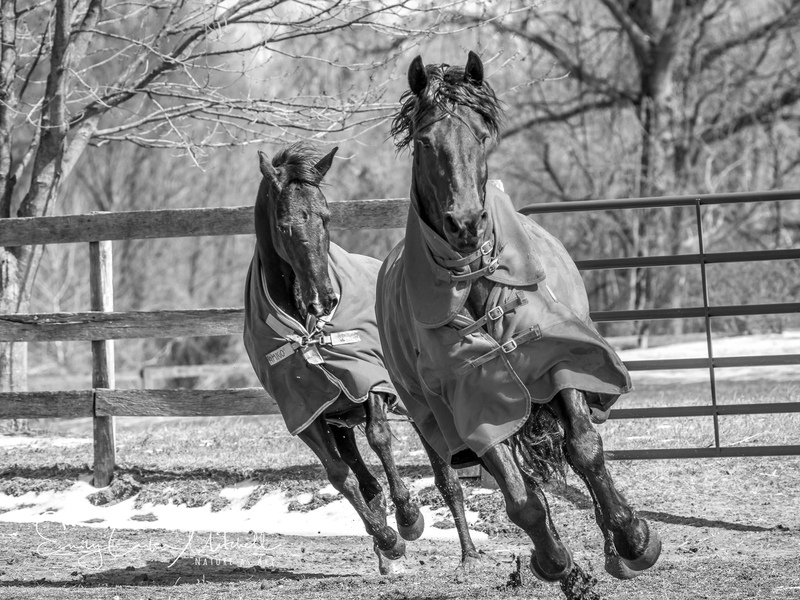 Galloping through the paddock, with strength, power, elegance and grace. The boys enjoyed themselves thoroughly. Such an expression of freedom. Aren’t these two incredible Sally? A Freesian and a Registered Paint QH. I swear the QH had warmblood somewhere in his genes. Look at that neck! Beautiful captures Emily – simply beautiful! It’s easy with such handsome beasts. Thank you Joanne. I love horses. The boys were frisky today. I had so much fun watching them run around. Thank you. Thank you so much Bente ! It is so wonderful to see you and I visited your website a little while ago. I hope all is going well with you as your work is beautiful. The last photo is a real winner! 🙂 Thank you so much Fatima. Such fun..now spring is nearly here. YEAH ! Thank you so much Marland. Thank you for sharing this with your readers Jamie.